The Legislature began chipping away at its unfinished business on Tuesday in the first day of this year’s special session. AUGUSTA, Maine — The Legislature began chipping away at its unfinished business on Tuesday in the first day of this year’s special session. The Legislature reconvened to continue work on a number of bills that were left in limbo when a vote to extend the session in April failed. The impasse at that time was over Medicaid funding and Republicans’ demand that scheduled increases in Maine’s minimum wage, which would go to $12 and hour by 2020, be slowed. Gov. Paul LePage continued his fight against the minimum wage Tuesday with the introduction of another bill to slow the increases and eliminate future bumps related to increases in the cost of living. With noticeably less rancor than when they last convened, lawmakers wrapped up before 5 p.m. Tuesday with plans to return Wednesday to continue. Lawmakers agreed on a tax conformity package but not funding for administrative costs to expand the state’s Medicaid program. A number of other unresolved issues remained untouched. 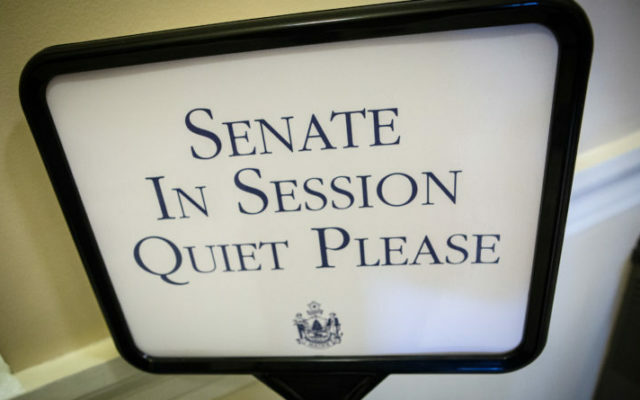 To read the rest of “A less combative Maine Legislature returns to dig through unfinished business,” an article by contributing Bangor Daily News staff writers Christopher Cousins & Michael Shepherd, please follow this link to the BDN online.